Although the Lineman Barn has been built into a well known recognizable label, we still continue to be a family owned and operated small company that decorates all of our own merchandise in house. We work around the clock trying to accommodate the hundreds of orders that come in every day from amazing linemen and their familes like yourselves who are proud to support not only the brand, but our small family. So thank you for the bottom of our hearts for your loyalty to us...we are unbelievably blessed to do what we do! 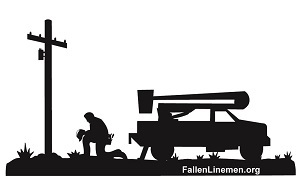 The Lineman Barn is not just a business venture to us. It is a part of who we are. We are proud of the items we offer and are sure you will be pleased with your purchase. We give you our personal guarantee. Please feel free to Email Us if you have any questions about the Lineman Barn and our products.